As the Great War rages across Europe, discord is sown even into the serene Yorkshire countryside. 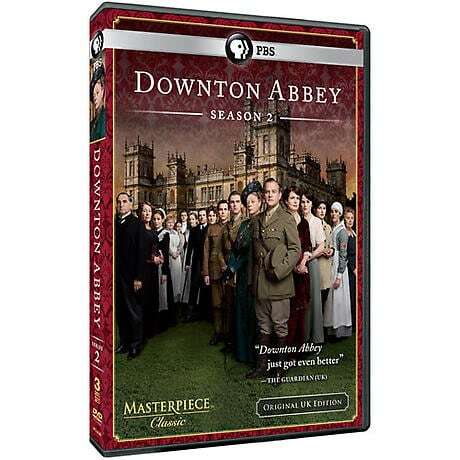 Simmering tensions behind the gates of Downton Abbey are beginning to come to a boil as the men and women of Downton do their part on both the front lines and the home front. What's more, the brutality and intensity of war seem to inflame more familiar passions--love, loss, blackmail, and betrayal--leaving family and staff alike to struggle in an ever-changing world, against a host of new demons. Dame Maggie Smith, Hugh Bonneville, and Elizabeth McGovern return to lead the stellar cast of familiar faces; and Maria Doyle Kennedy, Iain Glen, and Zoe Boyle arrive to add fresh intrigue to the second season of delicious, Emmy® Award-winning drama. 7 episodes, 9 hrs, 3 discs, SDH.